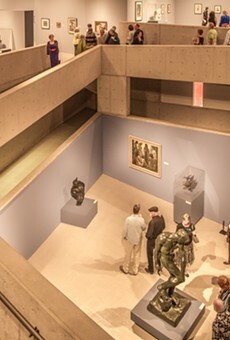 Last season, the Tucson Museum of Art was the very model of an all-purpose city art museum, covering contemporary, traditional and local art in wide-ranging exhibitions. 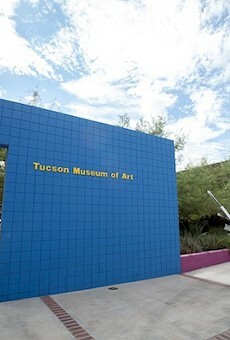 Chief curator Julie Sasse, who may just be the hardest-working art pro in town, staged Trouble in Paradise, a major show on environmental catastrophes that brought in work from artists around the country and abroad, but also included an installation by Heather Green, a talented young Tucsonan. 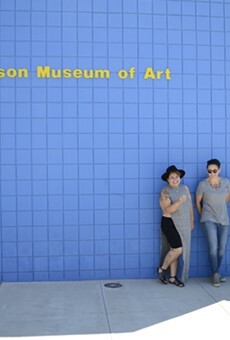 This summer's Arizona Biennial looked at the state's cutting-edge art. But TMA also put on a sweeping survey of centuries of Chinese art and organized a gorgeous accounting of the work of Maynard Dixon, a Western artist whom even a modernist can love. And, just to be nice, Sasse put together a little show of the least-objectionable Ted DeGrazia work in honor of his 100th birthday.